Gowthamaraju's research work was accepted for publication in Appl. Phys. Lett. 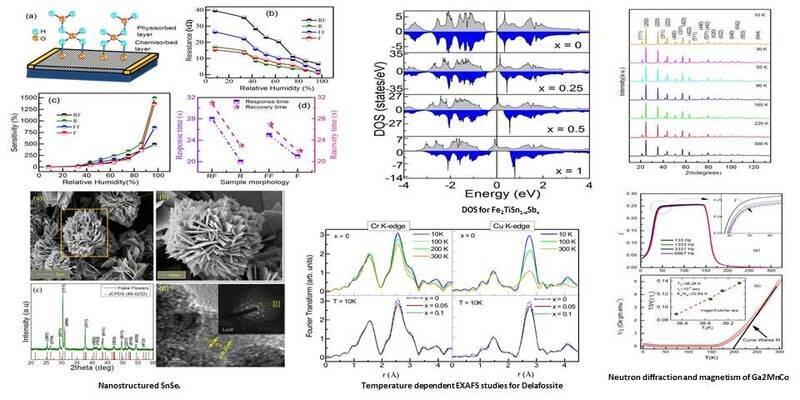 Tamalika's research work was published in Phys. Rev. B.
Priyadarshini Suchismita Behera successfully defended her thesis on 27th November 2017. Mithun received the "Best Poster Award" at National Seminar on Crystallography 2017	. Hi, I am Preeti Bhobe, Associate Professor of Physics at IIT Indore. The research activity in our group focuses on correlation between structural, magnetic and electronic aspects of various functional materials. The current system of our interest is the thermoelectric materials. We carry out various advanced experiments using synchrotron sources like EXAFS, PES, XMCD etc. This webpage contains an overview of the ongoing activities at our group. Motivated graduate students, postdocs, and projects students interested to know more about us, may send us an email.